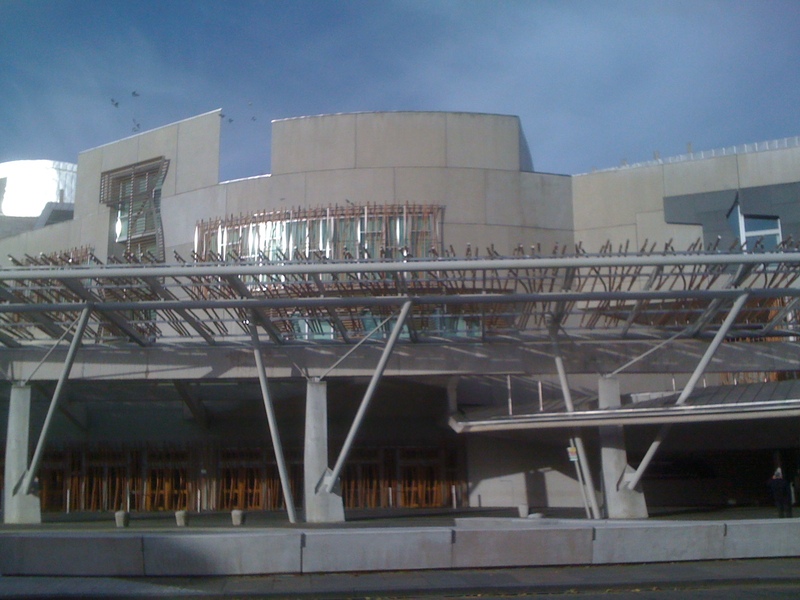 Yesterday I had the great pleasure of attending the Scottish Parliament’s second Communities Conference – ‘Understanding and Influencing Your Parliament‘. 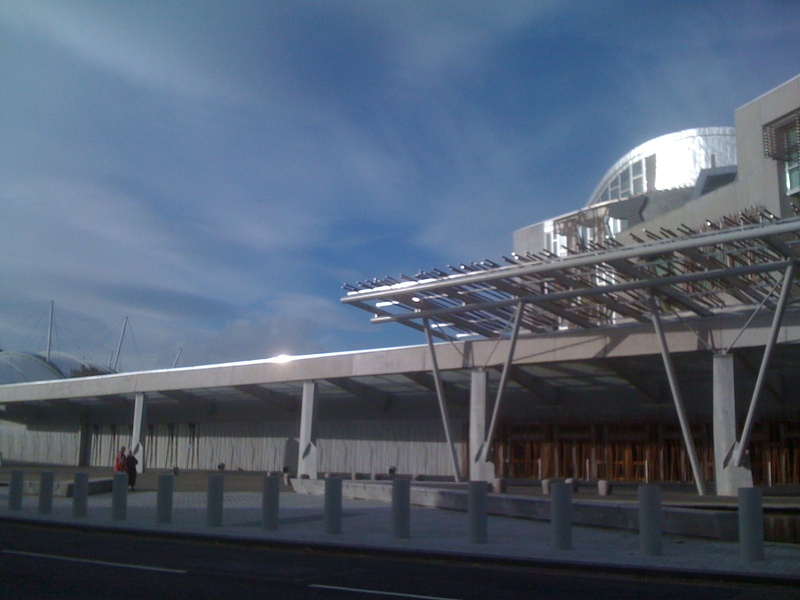 The conference is targeted at community-based voluntary and charity sector organisations, civic groups and campaign organisations and aims to help them develop the skills and knowledge they need to get their voice heard at Holyrood. I went along as a panel member on a social media workshop, but Paul Anderson, Communities Partnership Manager, who organised the conference, very kindly said I could come along to the whole day. and the option ‘make more effort to explain its debates and decisions in language that ordinary people can understand’ polled 47% of the vote. Michelle Hegarty, Head of Public Affairs and David McGill, Clerk Team Leader, then gave the parliamentary official perpective of engaging with the Parliament. A key tip from David was that it pays to do a little research and find out about the individual interests of MSPs. Michelle and David were unexpectedly interjected by Keith Brown, Minister for Skills and Lifelong Learning. Mr Brown had been due to speak after David but, as is often the way with Ministers, he had a last minute change to his schedule and had to rush off to catch a train to the Ryder Cup (it’s a hard life!). Before departing, Mr Brown emphasised that engagement with the Scottish Parliament is much easier than it is with Westminster. He advised delegates that building up a relationship with your MSP over the long term can be more effective than just firing off emails to them. ny submission to an MSP should be well prepared and focused on the matter in hand. David also suggested that it’s useful to be aware of the arguements opposing your case. Susan also warned that when pursuing an issue you need to be realistic and recognise that your particular issue is not the only issue (which I’m sure can be difficult if you’re really passionate about something!). She talked about change often taking place ‘under the waterline’. We are all agents of change and Susan feels that as a nation we may have become too dependent on the political process. Policy, legislation and regulation are not the only vehicles for change and public spending in and of itself does not necessarily drive improvement. She finished by emphasising that the need for people and organisations to work together is greater than ever and by telling us that we should ask ourselves ‘what can we do?’. The final speaker was Ron Beaty who gave an impassioned insight into his school bus safety campaign. Made all the more poignant by the fact there was school bus crash in Aberdeenshire on Friday. The workshop itself kicked off after lunch in one of the committee rooms. Patrick Harvie MSP chaired the session and was very articulate in explaining the difference between Web 1.0 and Web 2.0 and why community groups should seriously consider getting themselves a social media presence. On the panel with Peter and myself was current petitioner Bob Thomson, who’s been using social media to increase awareness of the potential of Low Dose Naltrexone to help with a range of medical conditions. Bob created a Posterous blog specifically for the workshop – full of useful resources for community groups looking to venture into social media. Thanks to Bob, I don’t need to write about the session itself, he’s already done a grand job of that. I don’t think we won over everyone, but it was good to hear some participants say that they were going to have a go! The hour and a half workshop flew by though and we could have covered lots more. The format of the workshop wasn’t ideal really for a session on social media. We did demo some sites, but the screen was so small that most folk couldn’t see very much. Something a bit more hands on would have been more effective I think. Well…my last advice to the workshop delegates was that there are people out there who’d be glad to help them with the social media/web stuff. I mentioned the social media surgeries being organised by Greener Leith and Peter encouraged folk to go along to EdCM. On the way home, I had a bit of a Twitter chat with Bob about ways in which we could help connect geeks with social organisations. Bob suggested a barcamp type event and christened it ScotSOCamp. the sheer organisational effort involved! None of these are insurmountable though and it’s worth considering. I’d be very interested in your thoughts – and offers of help obviously! I also had a thought about whether some kind of website would be helpful as a way of connecting willing techie helpers with organisations that need the help. Organisations could post a bit of info about themselves and what their need is (a new website, how to get started on Twitter, that sort of thing) and a volunteer with the relevant skills and interest could get in touch. A bit like www.do-it.org.uk or www.volunteerscotland.org.uk but more specific (and a bit less formal?). Again, thoughts appreciated. The conference ended back in the chamber with Deputy Presiding Officer, Trish Godman MSP, leading a summing up of the workshop sessions. Points raised included the importance of developing a good relationship with your local media when trying to get support for your issue and the importance of having a web presence. Before heading home I had a chat with some of the delegates at the drinks reception. All in all a very interesting and inspiring way to spend a Saturday! good article with some interesting thoughts, especially around social media! I have been attending EDCM and have also been mulling over how the public sector in particular can benefit from linkage with the geek world. I am putting on a communications conference quite soon, and was going to have round table discussions around 2 or 3 of the biggest questions public sector orgs raise about social media. This would seem to me a good opportunity to get some of the geek crowd around the same table as public sector comms officers. Perhaps as a starting point there needs to be clarity about the purpose of ScotSOCamp (aims, objectives, likely outcomes….)? Whilst this want’s to be unconference style on one hand, on the other this initial clarification will help secure potential resources (sponsorship, volunteers etc.). My own take is that Susan Deacon seems to have hit the nail on the head. There really is husge scope for greater ‘grass roots’ involvement (@BigSociety) both in public sector services and government. There are issues if decisions are made that are not truly representative of what the community (including future generations) need. I admit that it is a big enough challenge to identify wants let alone future needs but we need that debate to ensure sustainable communities of the future. Personally I think that Social Media offers fantastic opportunities for gathering the knowledge, skills and experience of people in the communities. However, there are also other challenges that need to be debated e.g. developing real trust within society! Have you thought about looking at/contacting http://www.raceonline2012.org/ for some tips/advice on connecting with the harder-to-reach people? I think that the public library services can be one route to reaching at least some of those people. Just stumbled across this article by Dean Russell – Big Society can work if organisations are collaborative and communicate: http://www.thirdsector.co.uk/news/archive/1036512/Dean-Russell-Big-society-work-organisations-collaborative-communicate/?DCMP=ILC-SEARCH. The article discusses a recent Media Trust panel on how charities should engage with local politicians, which Dean chaired. The suggestions that crop up are very similar to those that were discussed at the Communities Conference.